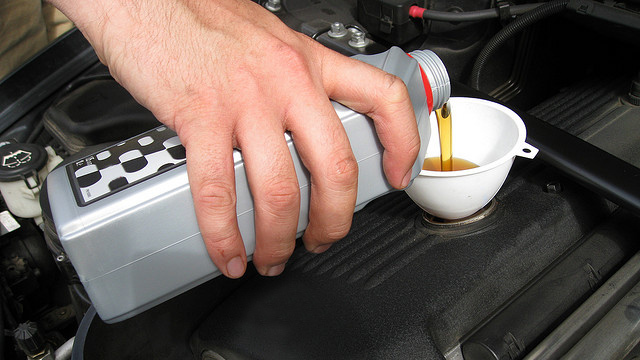 Oil changes are a regular and necessary vehicle service, but what sets the expert auto mechanics at Autotrend Diagnostics in Campbell apart is their awareness that not all lubricants are created equal, let alone properly formulated to prevent engine damage and expensive auto repair. For instance, many European models require high quality synthetic motor oil that almost all American-made brands do not meet. Trust the specialist auto mechanics at Autotrend Diagnostics to ensure your choice of vehicle motor oil isn’t the weakest link in the long-term health, reliability, and durability of your vehicle engine. That’s why — whether oil changes, other routine maintenance services, or more serious auto repair — car owners in Campbell, Los Gatos, Monte Sereno, and nearby communities rely on the awareness, expertise, experience and advice their partnership with Autotrend Diagnostic brings. “I brought my car in for an oil change, which I had been doing regularly at a to-remain-unnamed chain business. After the oil change, the tech went over some items that should be addressed for my car to perform better. Some items were minor (new windshield wipers, for example), while some were majorly important, like a broken link that affected axle stability and the fact that the light bulbs over my license plate were burnt out. The other place had NEVER mentioned anything outside of the scope of the oil change, sending me merrily back onto the road with issues that could result in a fix-it ticket at least, and serious damage to my car at worst. I appreciate the team at Autotrend Diagnostics going above and beyond on my behalf, and not making me feel like I was a fool for not realizing the problems with my car, nor pressuring me into making any of the recommended repairs. Instead, they took the time to explain what ought to take priority and why. These are good and honest folk who are invested in keeping you and your driving experience safe. Thank you, Autotrend Diagnostics!” -- Hanna L.
Whether your vehicle needs a routine oil service or more serious auto repair, count on Autotrend Diagnostics to provide you with the outstanding customer service and expert auto repair you expect and deserve. Please call us, schedule an appointment online, or visit us at 2885 S. Winchester Blvd Suite F, Campbell, CA 95008. We’re open from Monday to Friday between 8:00 a.m. and 5:00 p.m.